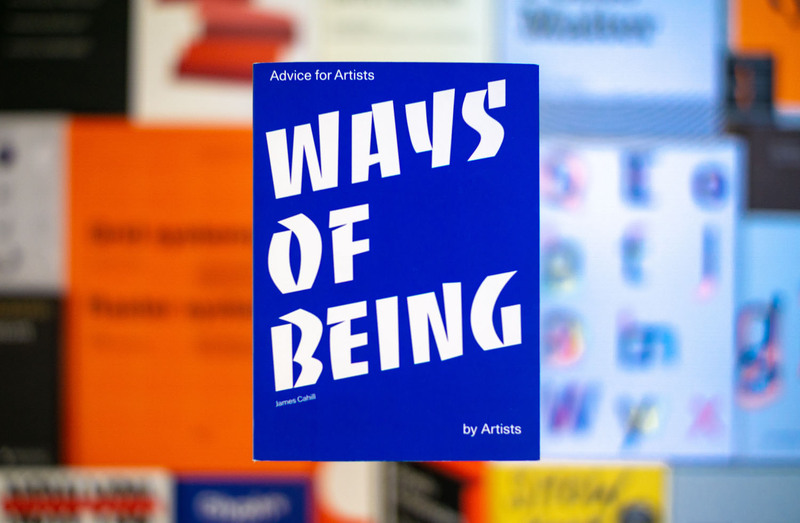 Designers who wish they were called artists, need to read James Cahill’s new book, Ways of Being: Advice for Artists by Artists. Its title makes it seem like it may be a mundane tutorial or critique book—unappealing to those “commercial artist” typographers—but its contents offer three valuable things: Practical advice at any stage in an artist’s or designer’s career, fascinating quotes from some of the world’s best artists, and 168 pages of pure, photo-free typography. Cahill, an author, essayist, and critic, might have his name is on the cover; but the words of the book are mostly from the artists. Through a disjointed collage of new interviews and archival material, Ways of Being tells several stories, each relevant to designers. First: How “atypical” artists follow a surprisingly typical path, with standard waypoints and milestones. Second: Why, despite similarities, anyone can become an artist at any age. Third: What makes some artists wildly successful in their lifetimes, while others may die before seeing their work fetch hundreds-of-millions of dollars on the auction block. I was reading this book and, at first, I was spelling out all the letters: one letter, then two letters, and so on. Then suddenly, I had this picture in my head from the word. It was purely a magical moment. My first drawings could never have been shown at an exhibition of children’s drawings. I lacked the clumsiness of a child, his naivety. More quotes (including Jeff Koons, Yoko Ono, Andy Warhol, and Louise Bourgeois) are splashed throughout the book. The design is a unique, cacophonous arrangement by Studio Bibliotheque, a London firm that has designed several books for publisher Laurence King. With big die-cut thumb tabs and very strong type, this is King ’s first art book not to contain a single image. From cover to cover, it’s all type. 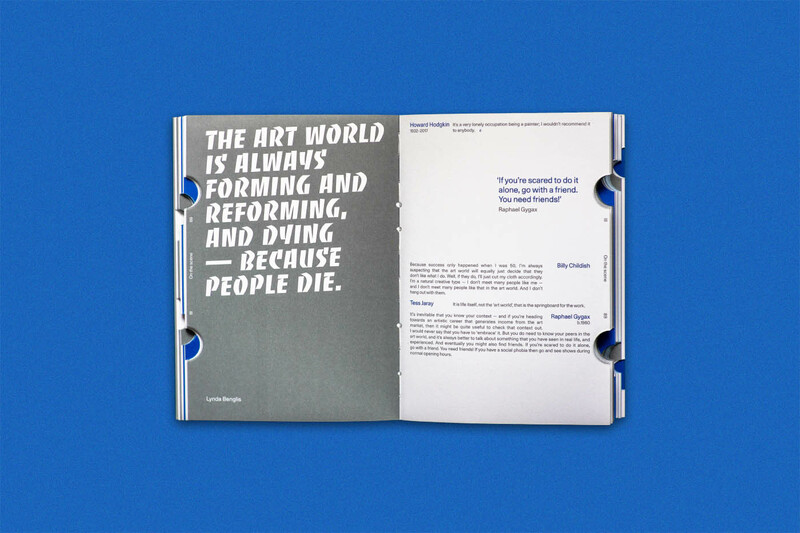 Ways of Being’s text is set in Unica77, Lineto’s revival of Haas Unica, done in collaboration with one of the type’s original designers, Christian Mengelt. (Monotype subsequently produced its own revival of the face.) According to Lineto, “Unica was the typeface that finally delivered what Helvetica had only promised,” and their revival of it adds a sobering balance to the very personal text. The display, Roger Excoffon’s Banco, brings an expressive, painterly touch. Graph comparing the artists’ number of internet search results. Printed on heavy wood-free paper in two colors (PMS 430 grey and 286 blue), Bibliothèque, led by Jonathan Jeffrey, designed Ways of Being with great attention to detail—right down to the die-cut thumb tabs. 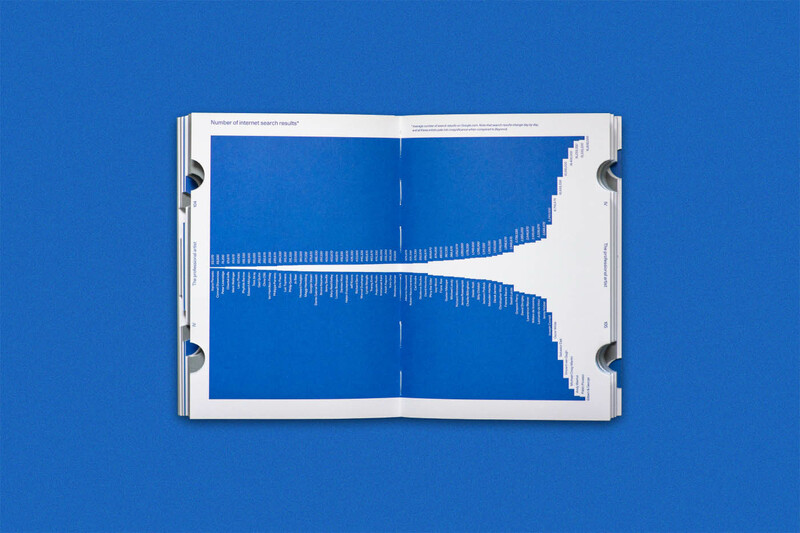 Sprinkled through the book a series of simple, type-driven charts, relaying facts and figures about the artists: Zodiac sign, age at first major solo show, number of internet search results, and highest prices at auction, among others. The blue cover and thumb tabs give the impression of a reference book, but the strong storyline prompts readers to move linearly. No matter how one approaches Ways of Being, it makes a good addition to any typographer’s bookshelf.